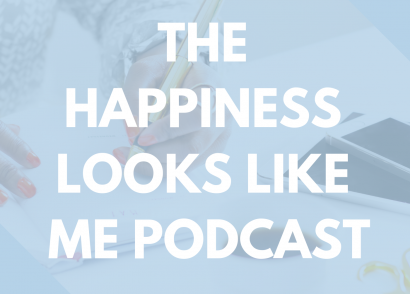 We are here on episode 2 of The Happiness Looks Like Me Podcast, and I am so excited to share today’s episode with you. I got out a lot of my personal feelings during today’s episode, and I spent time discussing how you can deal with your own. We are not perfect, but the more we can replace negative feelings with positive ones the better. I think this is especially true when the negative feelings we have aren’t true at all. I hope that after you listen to today’s episode, you will be able to understand the importance of questioning yourself. We tell ourselves a lot of things that aren’t true, and I hope that this podcast will serve as a reminder to that. When you hide from your negative feelings, you don’t do yourself any favors. Hiding is not an appropriate reaction when dealing with anything negative such as heartbreak, sadness, jealousy, etc. Make a pact with yourself to address negative feelings as they come up or soon after. You can’t be positive 24/7. Dealing with those feelings now will help you clear your energy and create a better path for the future. We have to understand that there is a difference between acknowledging/not hiding from our negative feelings and wallowing in them. Wallowing in your negative feelings will not help you heal from them. Instead, we need to be conscious of the two extremes: hiding and wallowing. Both of these activities will cause issues in your life as you try to deal with what’s going on in your head. We want to achieve a healthy balance of facing our negative feelings head-on while knowing when to move on from them. It’s easy to create irrational feelings around your negative thoughts when they are in your head. Instead of keeping them in your head where they are free to roam, unchecked, write them down. Writing down your feelings gives you a chance to understand them rationally. You can better judge a negative thought that’s written down over one that’s sitting in the back of your mind. 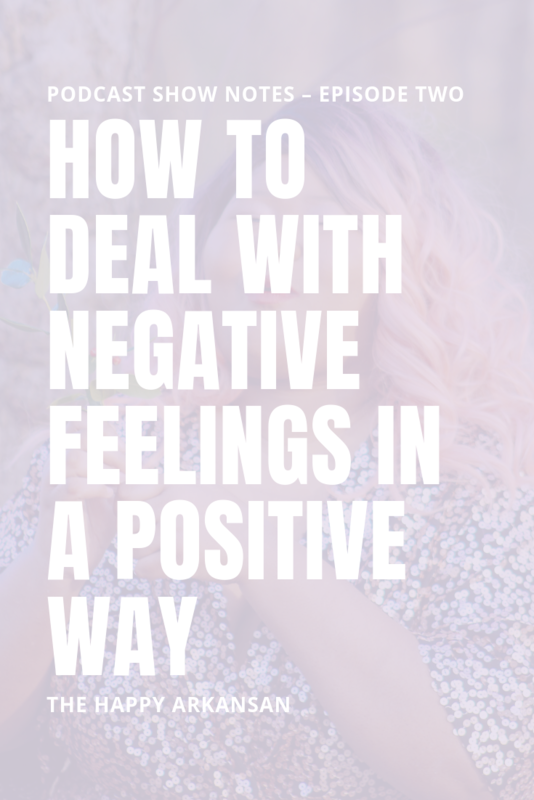 Now you need to meditate on the negative feelings that you’ve written down. Is this statement real or is it just something I am making up in my mind? Is this something I can even control? Have an honest conversation. If that person is feeling the way you think they do, you can work on the situation. If they don’t feel that way, you can work on clearing the negative thought and fixing your relationship with that person. What if this feeling doesn’t involve another person? Who does it involve? You may have to have an internal conversation or figure out another method to determine whether the statement is real or fake. We often get wrapped up in situations we can’t even control. If you can’t control the situation, it’s time to meditate on that feeling and let it go. There is no sense in letting something get you upset when it’s not a situation you can even impact. Last, but not least, it’s time to make opposing statements for any negative thoughts that may come to mind. Go through the most critical negative feelings you have. Create opposing, positive statements. Put them on repeat in your head any time you say something negative to yourself. Today’s episode of The Happiness Looks Like Me Podcast was a wonderful exploration of how to deal with negative feelings positively. We talked about the importance of acknowledging your feelings, understanding them, and creating positive statements to deal with them. I hope this podcast helped you work through your negative emotions in a new way. What routine do you use to clear any negative feelings you have?